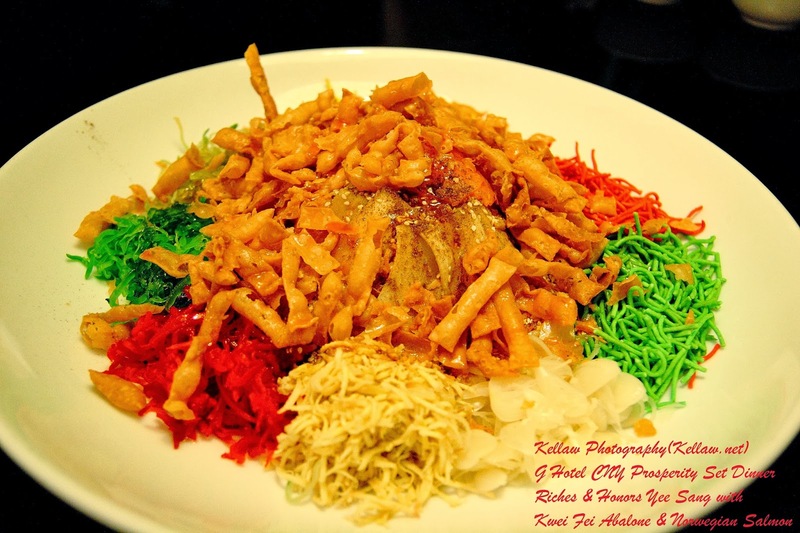 What would a Chinese New Year dinner be like if there was no tossing of Yee Sang right? 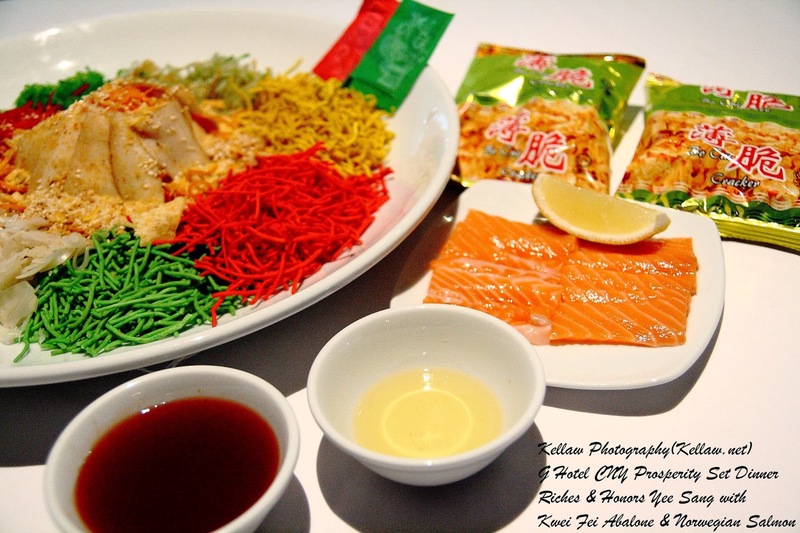 Only the freshest ingredient is selected for their Riches & Honors Yee Sang with kwei fei abalone & Norwegian salmon. 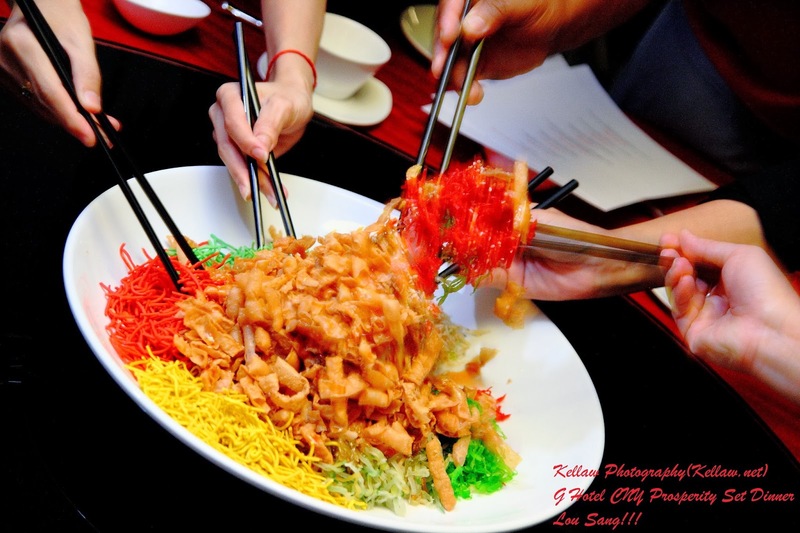 Just thinking back on the Yee Sang alone has got my saliva drooling. 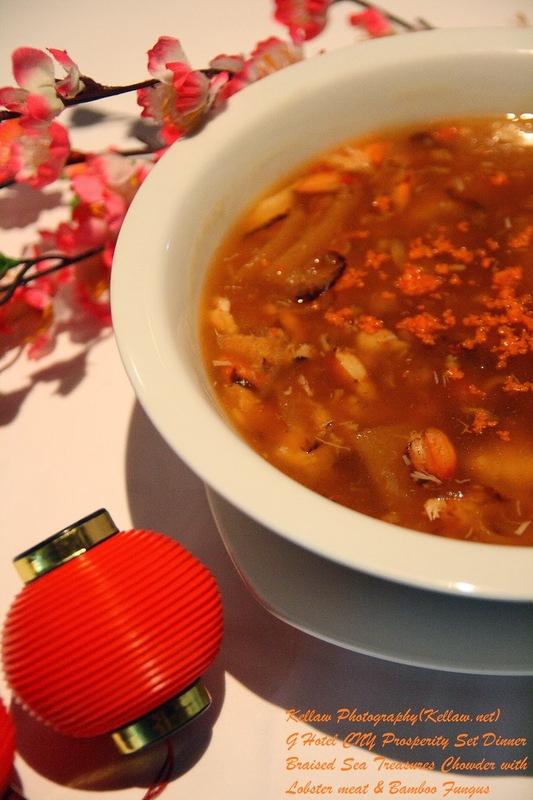 If that was not enough of a starter, we have the Braised Sea Treasures Chowder with lobster meat & bamboo fungus. Just look at the gracious amount of seafood in their chowder. I could say this would remain one of the best chowder I've ever had. Then we have the Two Variety Combinations. 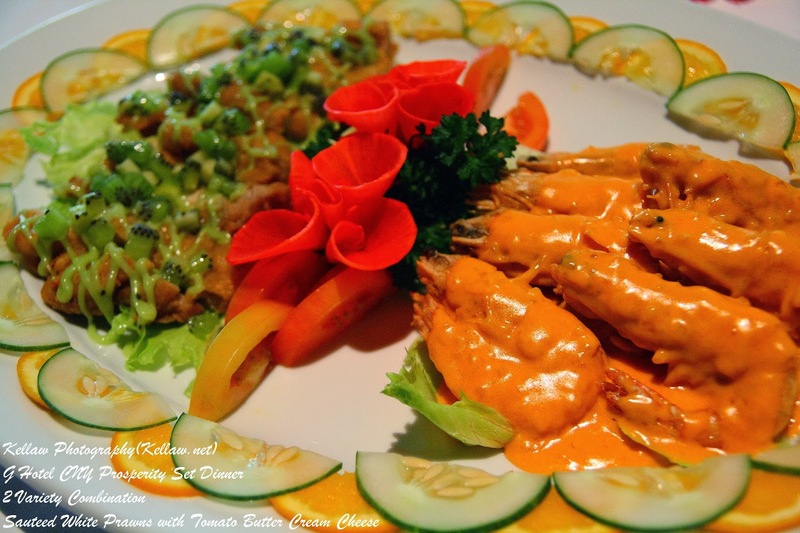 One side we have the Sautéed White Prawns with tomato butter cream cheese flavors. Trust me when I say they are real flavorful. 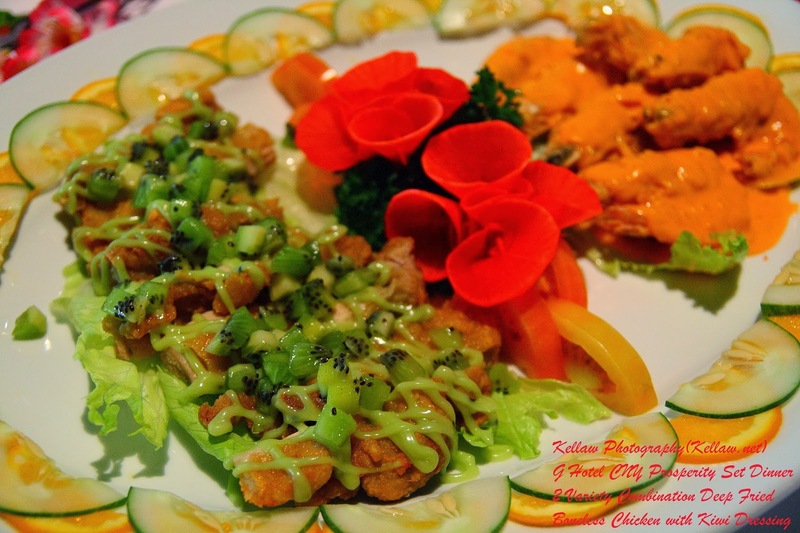 The other side we have a unique creation from the chef, the Deep-fried Boneless Chicken with kiwi dressing. 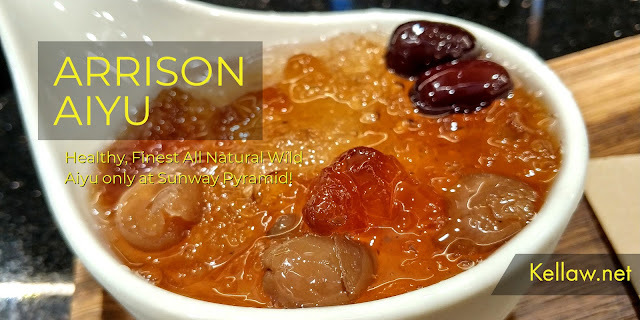 At first glance, it might look weird but the sweet and sour taste in the mouth is totally one of a kind. 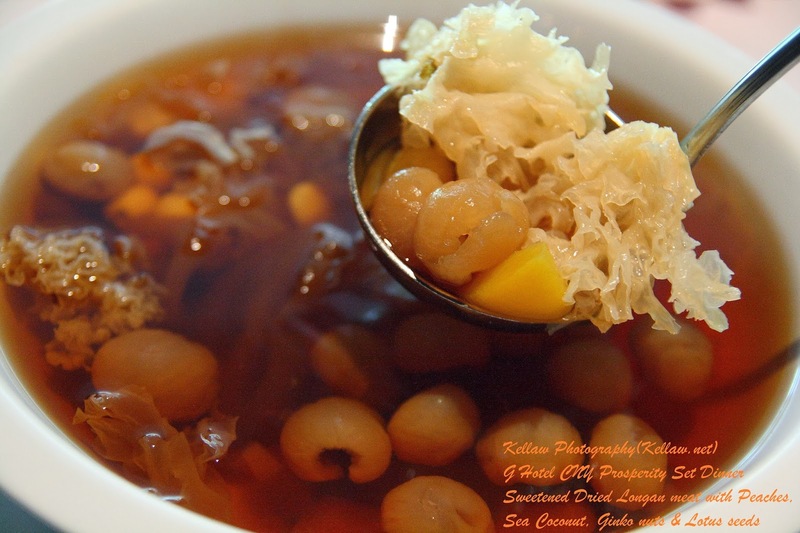 Then we have the healthy traditional and healthy dish of Assorted Sea Kingdom Combinations simmered with sea moss in local farm green. 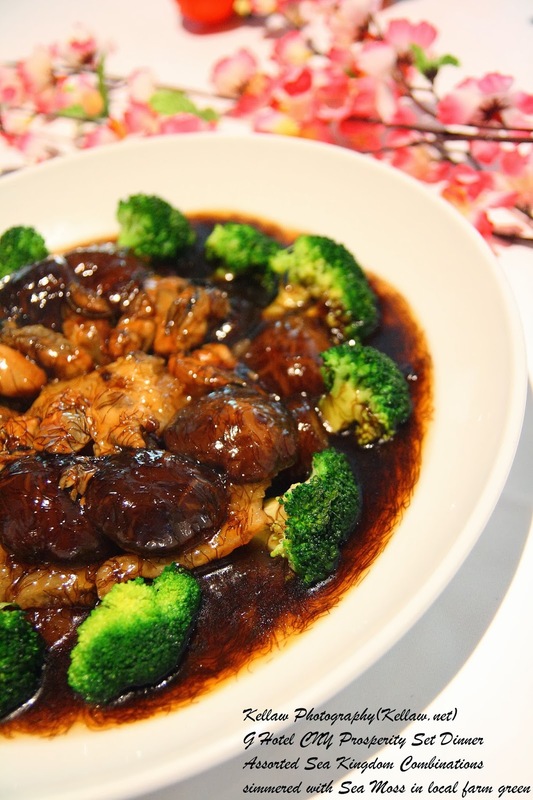 The mushroom with broccoli dipped into the thick sauce containing "Fatt Choi" is truly a bliss. 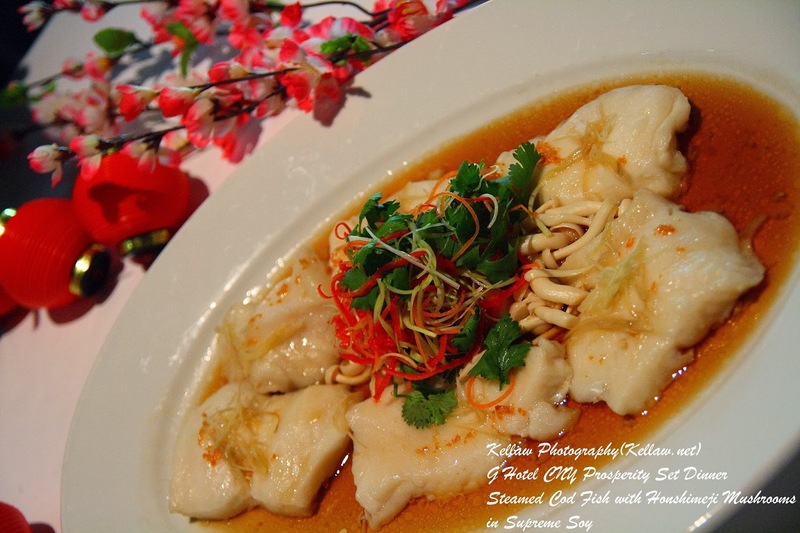 Steamed Cod Fish with Honshimeji Mushrooms In supreme soy. 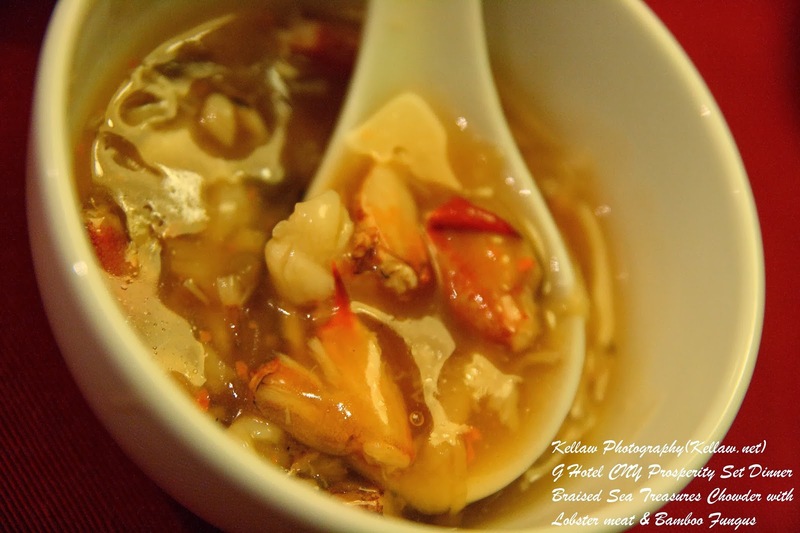 Only the freshest cut was steamed to perfection, just nice, not too raw yet not too cooked. The fish melts slowly in the mouth and words just couldn't explain how good this is. 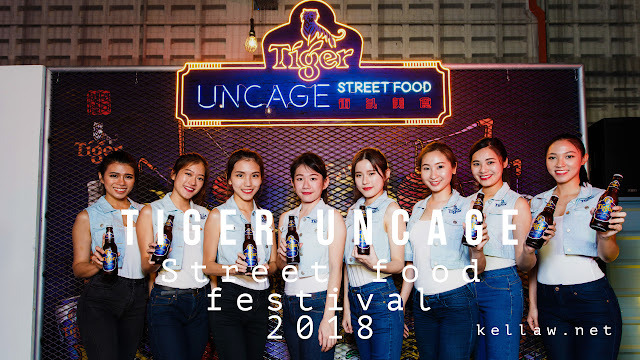 The dinner is completed with their special dessert, Sweetened Dried Longan Meat with Peaches, Sea coconut, gingko nuts & lotus seeds. 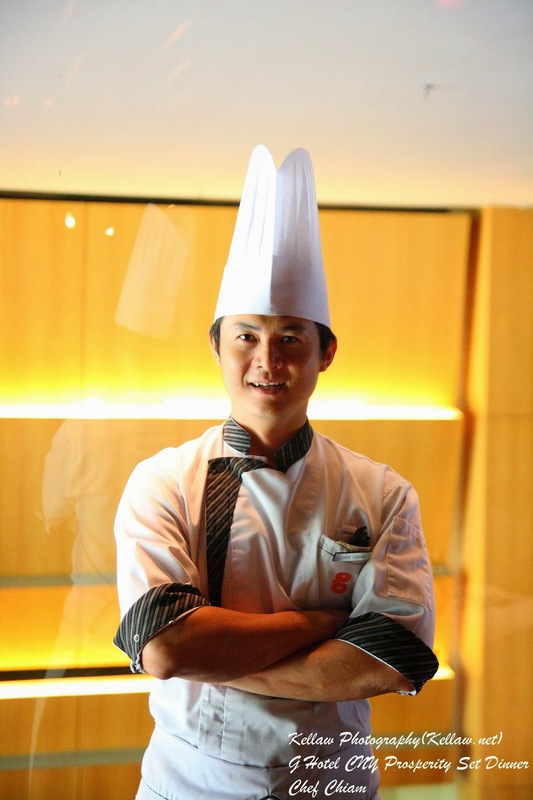 All these dishes are the creation of their talented in house chef, Chef Chiam. 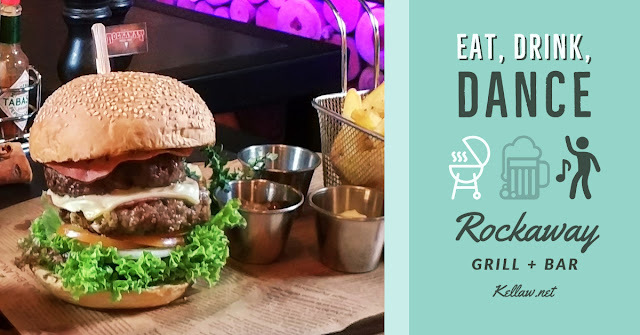 The portion is just nice, healthy, fresh and simply delicious. Oh yeah. Did I mention they have a G Hotel bear collection now? 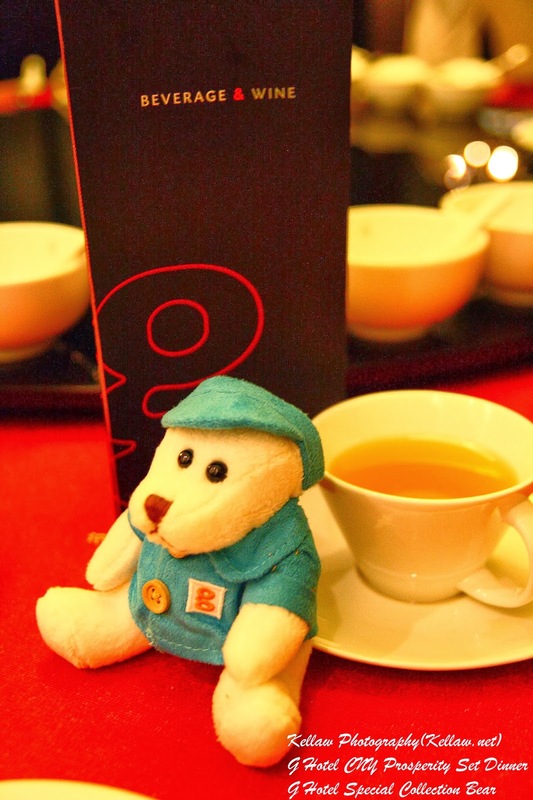 Head on to the lobby counter to enquire about these cute bearies... A total of 6 designs are available.